Lines and diamonds and spheres. Oh my! Constructed of hand-sewn hair on hide, this area rug is a refined choice for your home on the range. 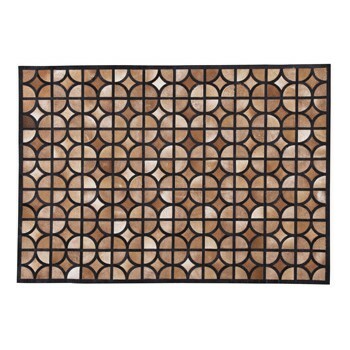 Gridwork pattern of black and shades of tan gives this naturally striking rug contemporary appeal.